Intaglio, a six-century-old printmaking technique, is the theme of the latest show at Featherstone Center for the Arts in Oak Bluffs. Three local artists will present work that they have created using one example of this multiple-step process that involves etching into a copper plate with acid, inking the fine lines created on the plate, and making an impression on paper by applying pressure with a heavy-duty printing press. For the past year, Nick Thayer, Beldan Radcliffe, and Washington Ledesma — all accomplished artists — have been executing works using Mr. Thayer’s newly acquired etching equipment, including a polyethylene tank filled with ferric acid and their own individual printing presses. 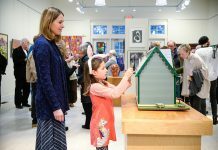 They will be exhibiting the results at Featherstone’s Virginia Weston Besse Gallery from this Sunday, April 1, through April 18. Now, after establishing himself in Oak Bluffs as both a painter and ceramicist, he is returning to his roots. 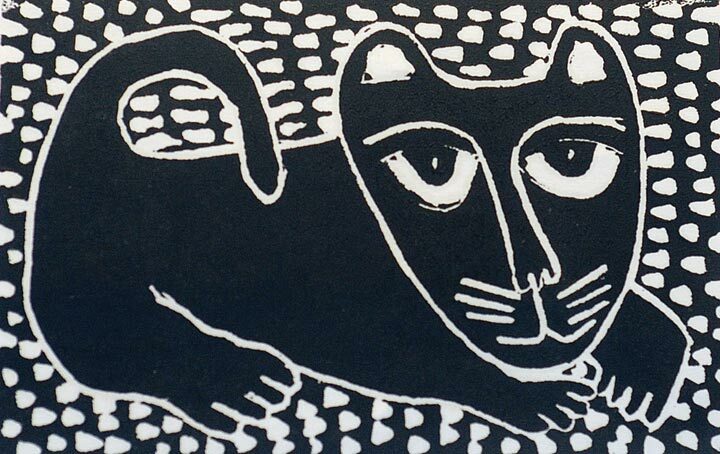 “After so many years I got interested in printmaking again,” he said. He has turned half of his studio over to his reborn passion. The prints that Mr. Ledesma will be exhibiting display his characteristic imagery, including primitively drawn fish and distorted female figures, but the reliance on sharp lines that the intaglio process necessitates gives a new depth and a different feel to his designs. For the past 12 years, Ms. Radcliffe has been using the intaglio process to create her unique nature-themed works, which combine collage and printmaking. Prior to the establishment of Mr. Thayer’s etching studio, she incised her plates using off-Island facilities. In her process, called chine collé, Ms. Radcliffe prints images onto mosaics of delicate, handmade paper. Some of the colorful papers she makes herself, often including bits of seaweed or other natural fibers. The sharp lines of the etchings contrast well with the muted colors and textural subtleties of the handmade papers. “I like that you can create really fine details,” Ms. Radcliffe said about the process. Though she notes that some artists produce a series of nearly identical prints from one plate, since she creates a unique backdrop for each print, every one is unique. 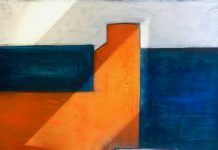 Ms. Radcliffe and two other artisans co-founded the Night Heron Gallery on Main Street in Vineyard Haven, of which all three of the artists exhibiting in the upcoming Featherstone show are members. Their work in a variety of media, as well as works by eight other artists, can be seen there when the gallery reopens in early April. His prints capture natural themes with fine detail. He also uses a process called a sugar lift to replicate brush strokes. One piece that employs this technique is a beautiful two-panel print of a forest scene, in which delicate lines define the tree trunks and branches and a soft gray wash gives the effect of leafy tree tops. Mr. Thayer is also an art teacher who taught at Milton Academy preparatory school for 22 years. He led monotype and printing classes at Featherstone and is currently part of the artist-in-residence program at the Martha’s Vineyard Public Charter School. Last year, as part of that program, he held an intensive two-day workshop in printmaking for two high school seniors at his studio. 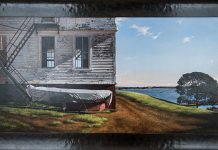 Opening reception for The Art of Intaglio, Sunday, April 1, 4–6 pm, Featherstone Center for the Arts, Oak Bluffs. Show runs through April 18, 12 noon to 4 pm daily. For more information, call 508-693-1850 or visit featherstoneart.org.